At $2.25 I think I know which brand I'll be going for! 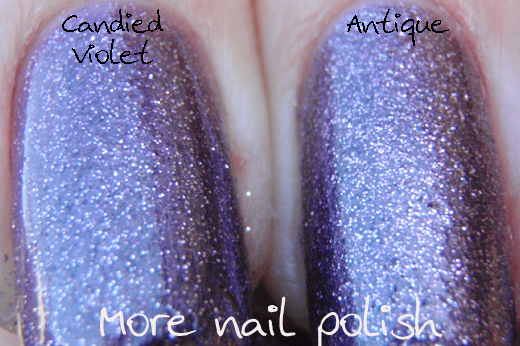 It's a shame that you already had a dupe but gosh Antique is such a pretty colour! As you said with 500 polishes it would be hard not to find a dupe. That being said, I still prefer the depth and intensity of both the colour and the sparkle in this Antique. Yay too for square or rectangular bottles. 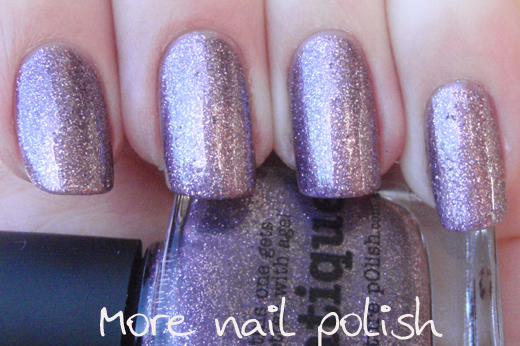 Waau, really great polish, I like these glitters in it! Great! 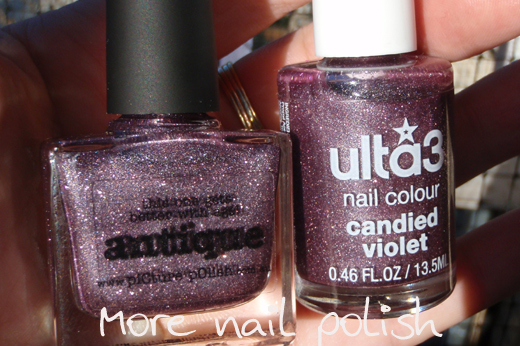 Thanks everyone - I think if you choose Ulta3 or PP you will end up with a really beautiful polish. Catkin - I would love to see this on your nails! 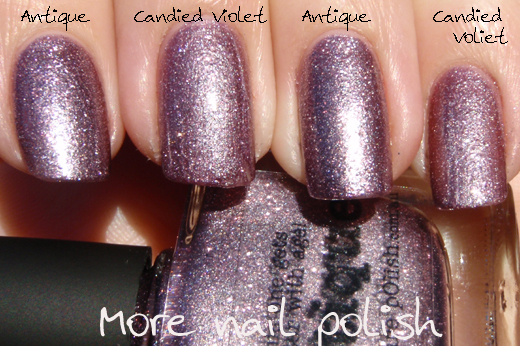 NailsbyCourtney - yes I think it could be a purple version of OPI Cozu-Melted, although maybe a little thicker. 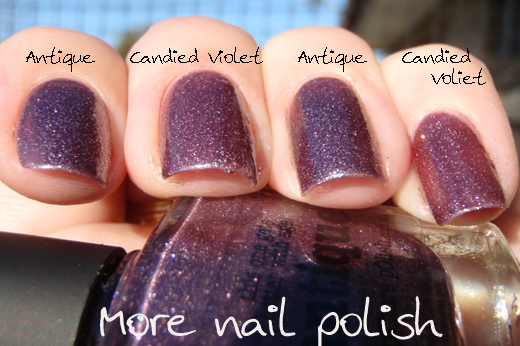 Kristy - Candied Violet is a great dupe for the price, if you can find it. Claire - thanks for the info about size. Funny that some bottles have a back label and others dont. 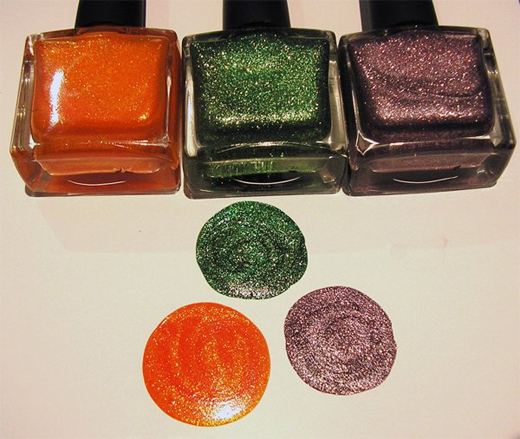 I likenail polishes with glitter! My favourite!